Originally designed as German National Pavilion for the ’29 Barcelona International Exhibition, it was never intended to last and demolished a year after it’s completion. 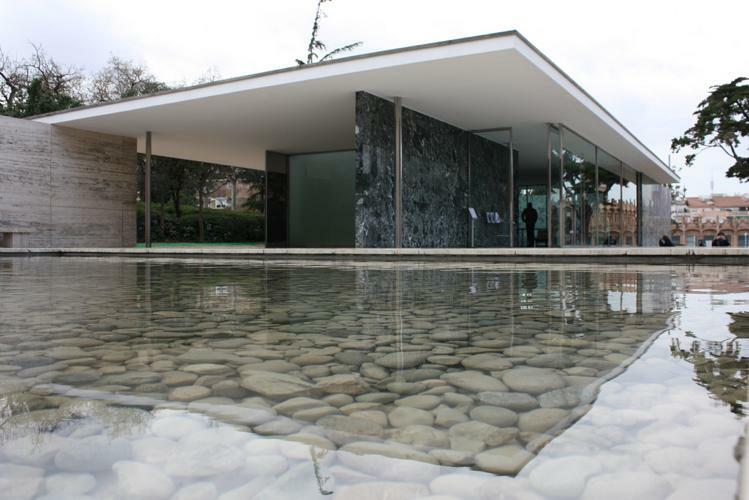 Over the decades, van der Rohe’s pavilion became such an icon to drive a group of Spanish architects to rebuild it in 1983. 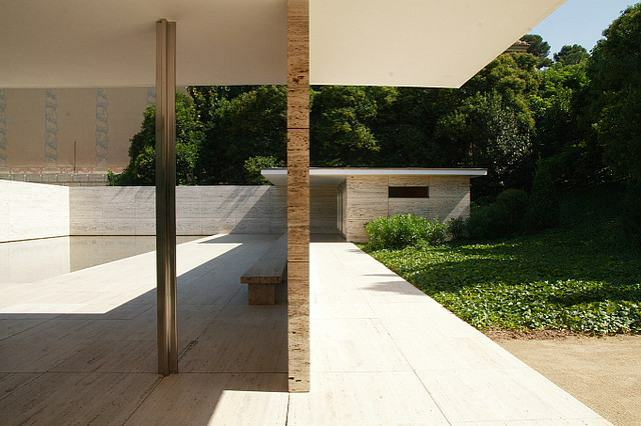 Ludwig Mies van der Rohe was appointed to design The Pavilion to host King Alphonso Vlll of Spain along with a group of German officials during the Exposition opening ceremony. The pavilion was meant to represent the best of Post-WWI Germany showing a prosperous, pacifist and democratic side of the German culture through a minimalist and contemporary structure. 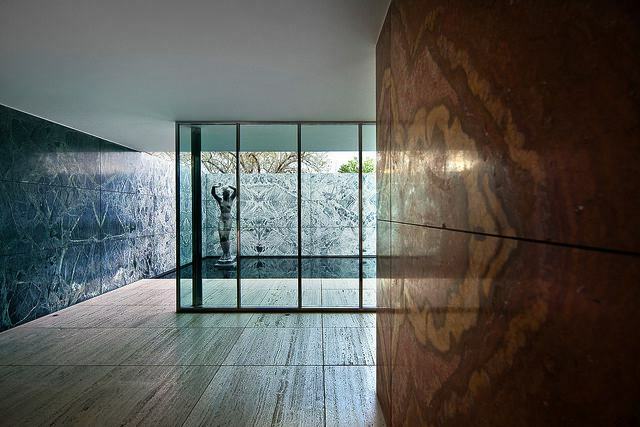 The goal was largely achieved, making van der Rohe’s Barcelona Pavilion into an architectural landmark, reaching a new height for Modernism. 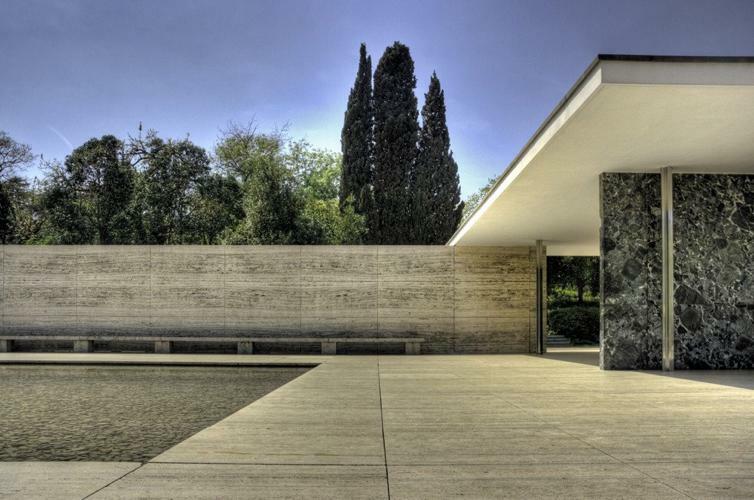 The Barcelona Pavilion achieved most credit for its minimalistic frame and open space, beautifully framed by different types of marble. 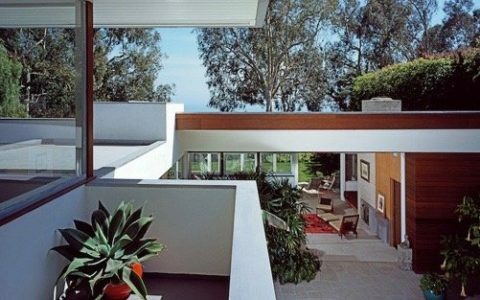 The a-symetrical plan featuring doors-free rooms, a low flat roof and bold use of materials contributed to sense os marble. 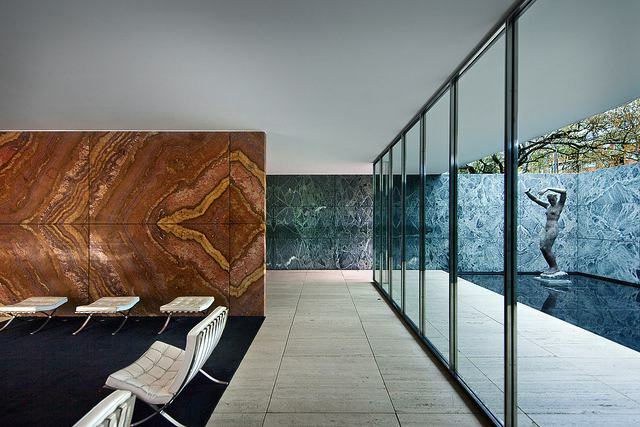 Van der Rohe focused more in giving to the Pavilion an expressive public interior rather than an intimate space. 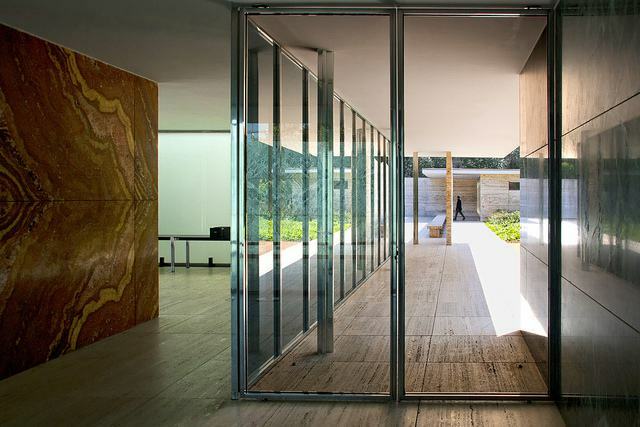 To reach this, he explored the different ways materials, furniture and glass structures could define the space. He was interested in experimenting with movement and space, inter locking spaces and circulation. Photos by Flickr users Wojtek Gurak, Matthijs Borghgraef and Pete Sieger. 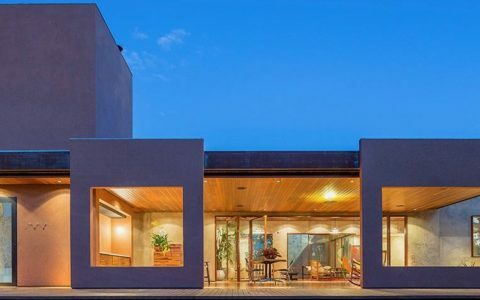 Specially the roof has received tremendous acclaim. 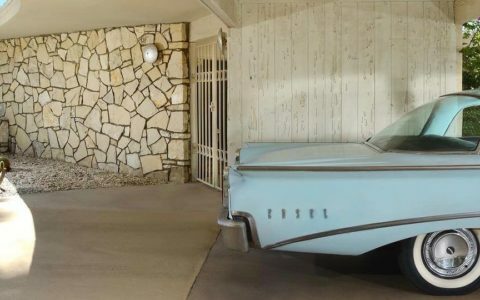 It appears to float in midair, offering the illusion of blurry common space between the interior and the exterior. 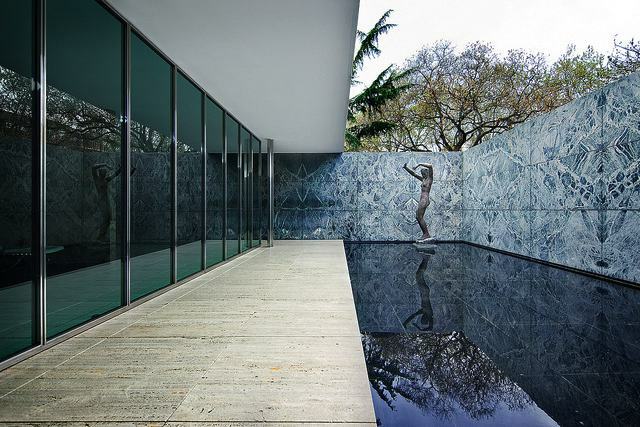 Van der Rohe’s Pavilion definitely reflects its architect. 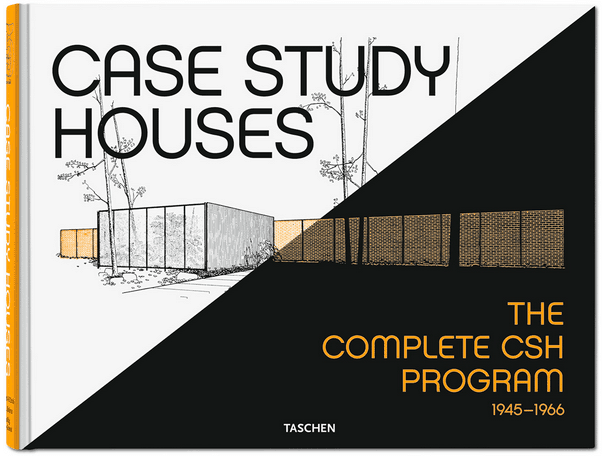 Unexpected and pleasantly surprising, the Pavilion was not something an industrial architect would normally think of and is also for this reason this project is considered a breakthrough for Modernist and contemporary architecture.